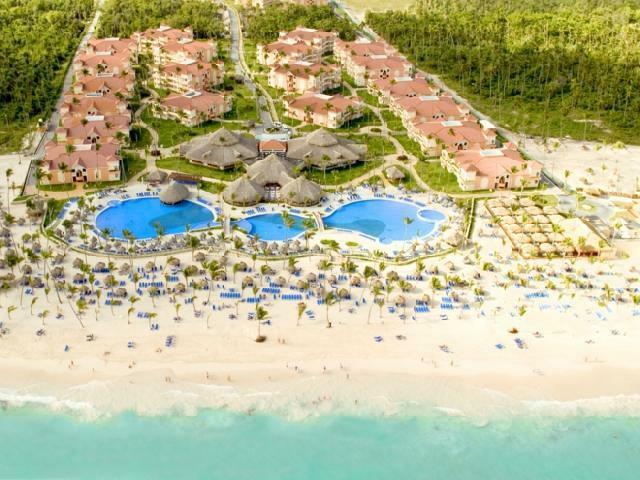 At the Grand Bahía Príncipe Resort Punta Cana you'll spend your best vacation next to the beautiful white sand beach and surrounded by lush tropical gardens. 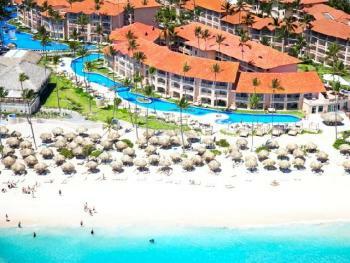 Punta Cana is located in a small area to the south east of the Dominican Republic. 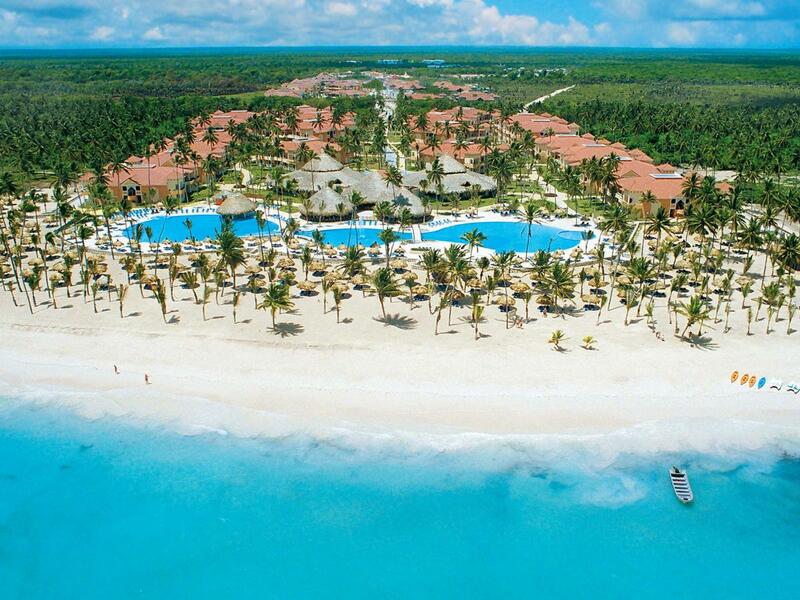 The most beautiful area, full of coconut palms, which is why is it called the "costa del coco" or coconut coast. 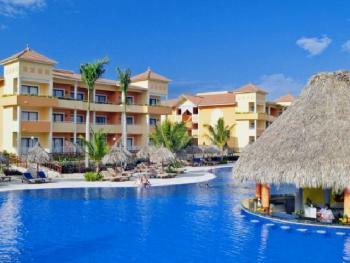 You will love this resort for its large spaces and tropical gardens, the resort is a little paradise in Punta Cana. 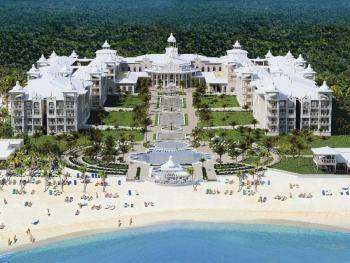 You'll also be able to enjoy the great variety of facilities, services and fun of the Gran Bahía Príncipe Punta Cana. 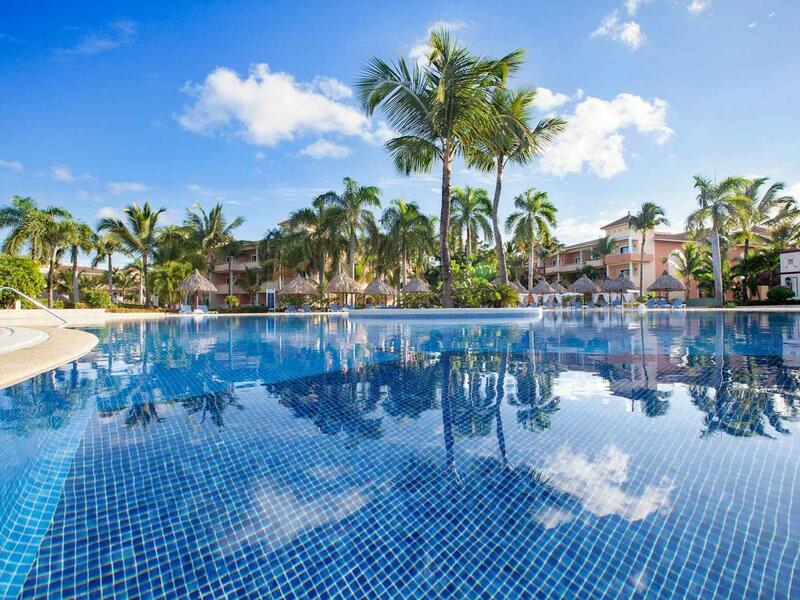 At the Grand Bahía Príncipe Resort Punta Cana you'll spend your best vacation next to the beautiful white sand beach and surrounded by lush tropical gardens. 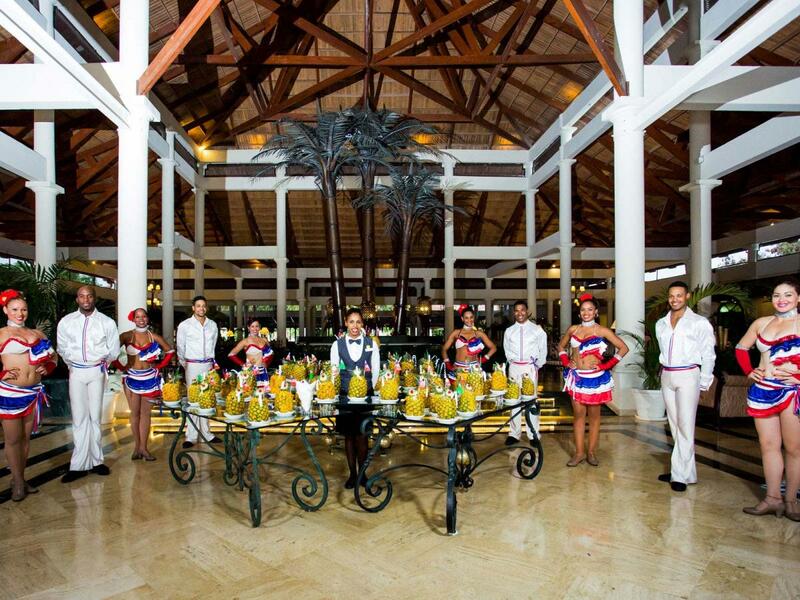 Guests at the Punta Cana area of Grand Bahia have access to their own restaurants, nightly entertainment, and bars, as well as those at next door Bavaro. 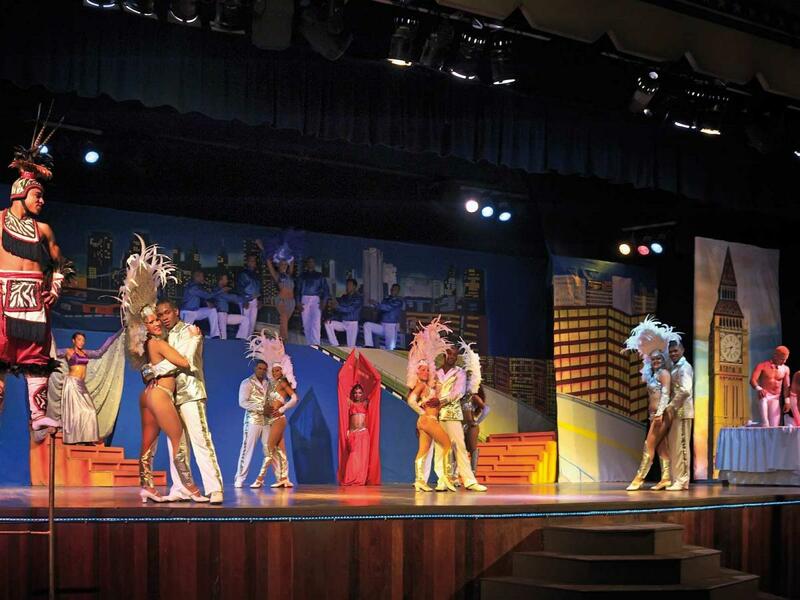 There are quite a few entertainment options to stay busy at night that are typical for all-inclusive resorts. 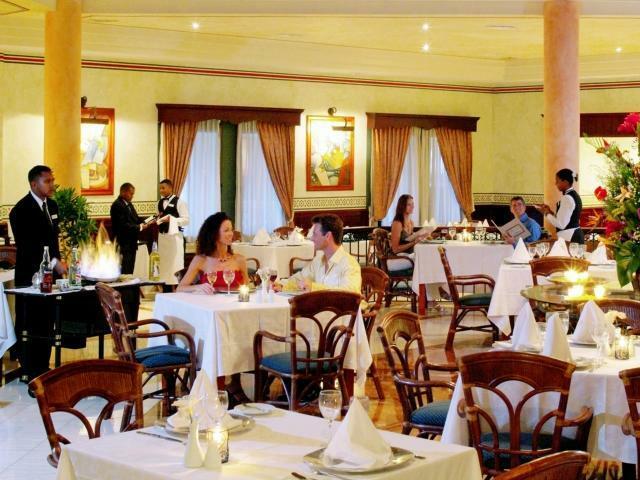 Reservations for the a la carte restaurants can be a challenge, and it is recommended that guests make these early as possible before they fill up. 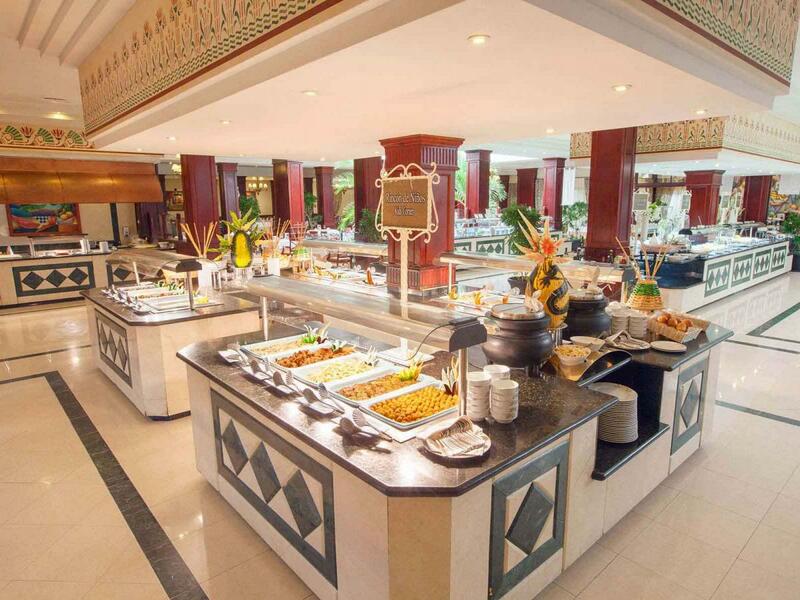 There is a buffet breakfast in the lobby. 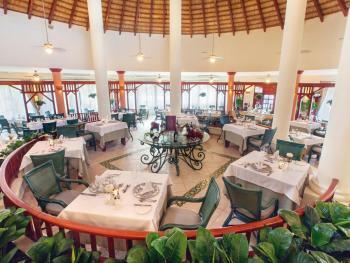 There are two main pools close to most of the rooms. Both pools have a swim up bar, a self-service soda bar, and plenty of lounge chairs (though they get snatched early in the morning). Other amenities that can be accessed via walking or shuttle service are tennis courts, a water park, basketball court,mini golf course. and go-cart track. 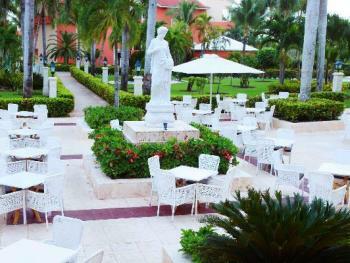 For shopping, Pueblo Principe Village is a replica of a Dominican village, at the center of the resort. 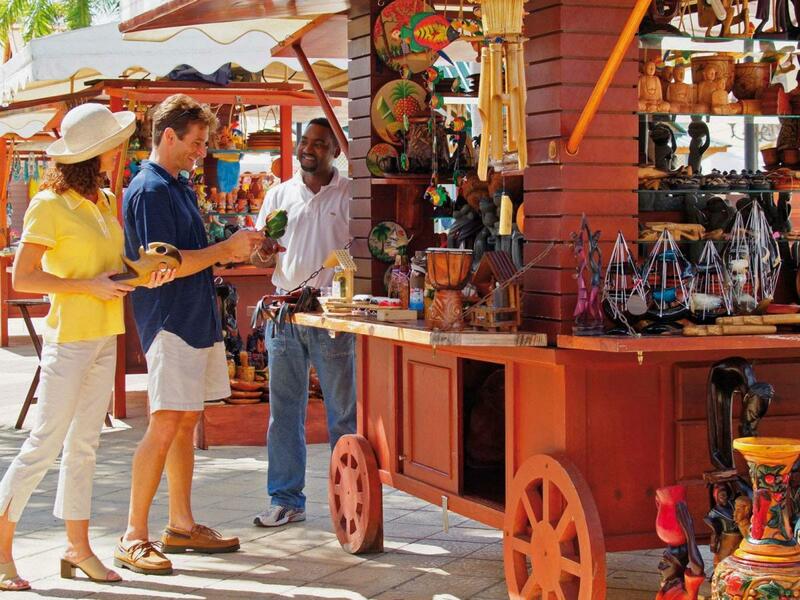 It features vendors selling artisan crafts, plenty of shops, along with a karaoke bar, snack shop, and a large stage where the house band plays nightly. 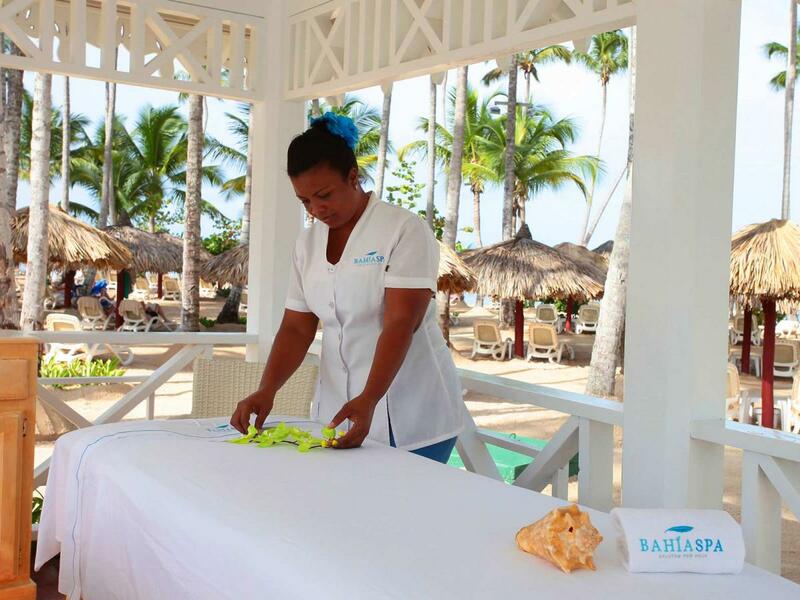 The full-service Bahia Principe Spa is tucked away beside the resort entrance. 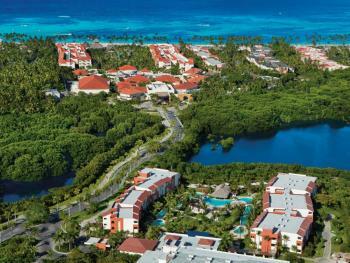 The facility includes a sauna, steam room, whirlpool, cold baths, and showers, all outfitted in mellow blue tiling. 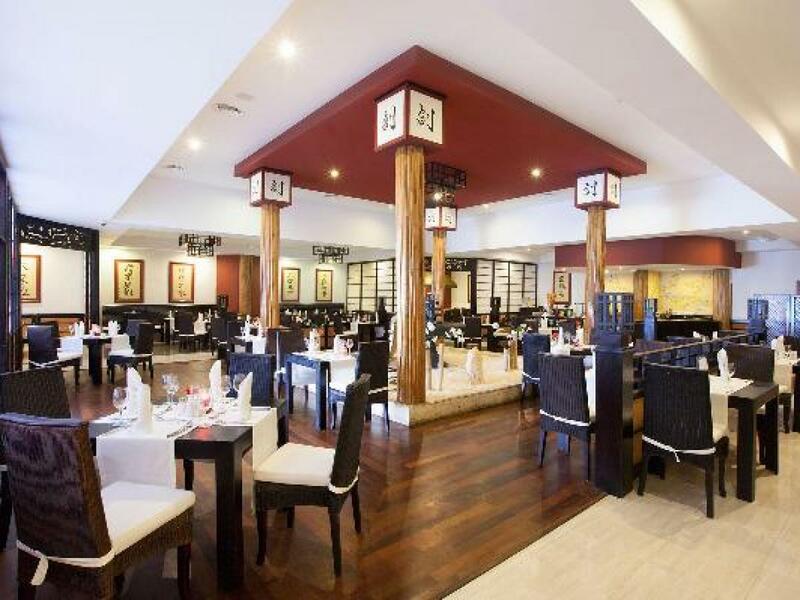 Guests have unlimited access to these facilities with any treatment. 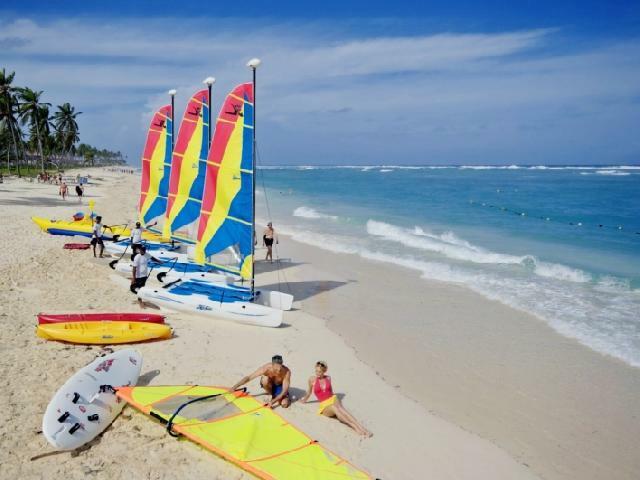 Discover the tons of activities and sports for everybody to enjoy at the Grand Bahia Principe Punta Cana. 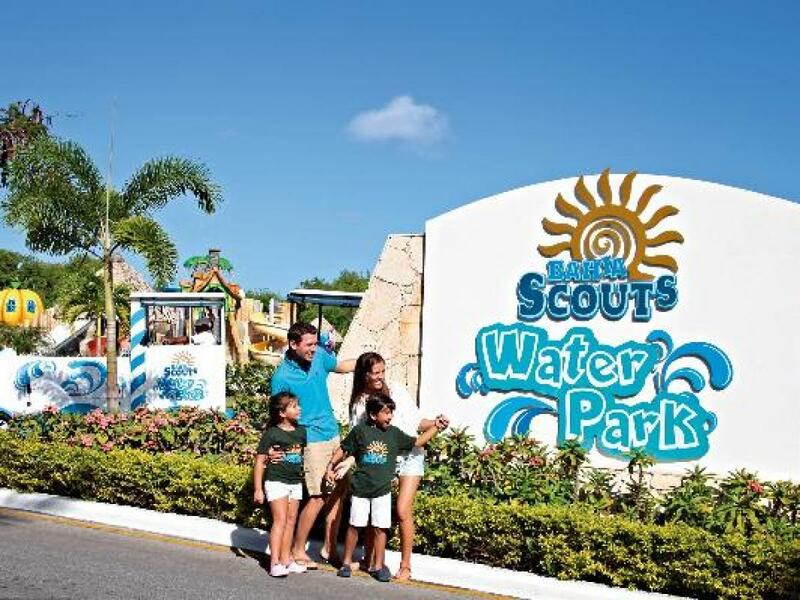 Visit the Scubaquatic Activities Center to learn how to sail a catamaran, kayak the waves, or dive deep down and scuba dive with the most vibrant fish in the area. 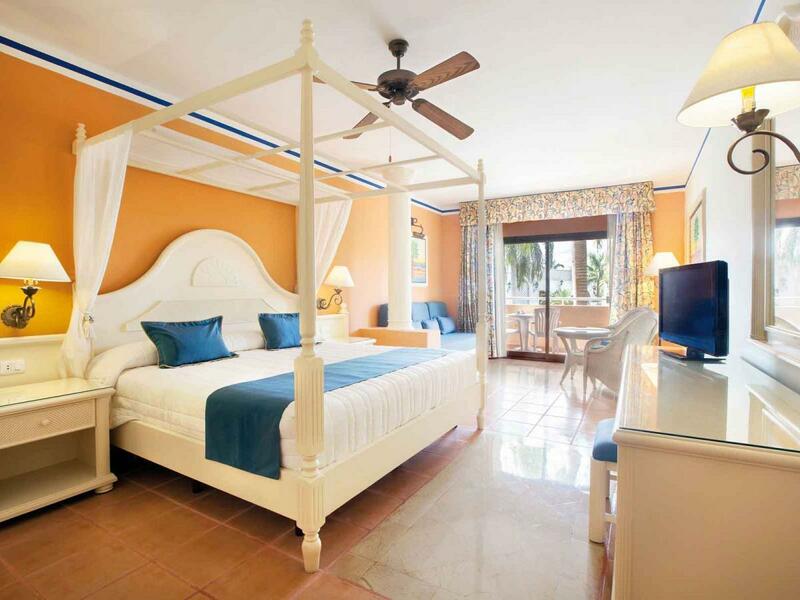 Or for the land loving guests, challenge your family and friends to a friendly ping pong game or hit the courts for a competitive basketball game. Keep fit and make friends while on holiday and join the stretching class, aerobics, yoga, or a friendly beach volleyball game. 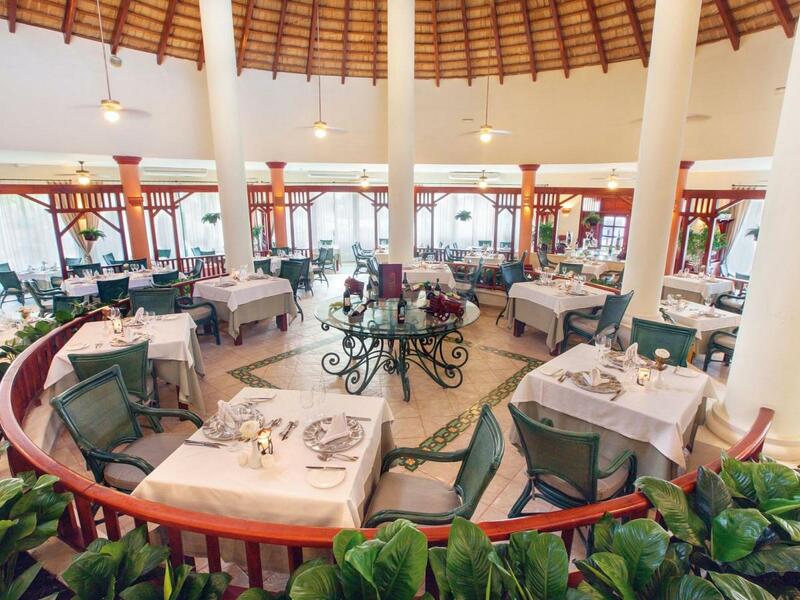 Golf enthusiasts will find the beautiful course designed by the highly awarded and admired golf legend, Nick Price just five minutes from the resort complex. 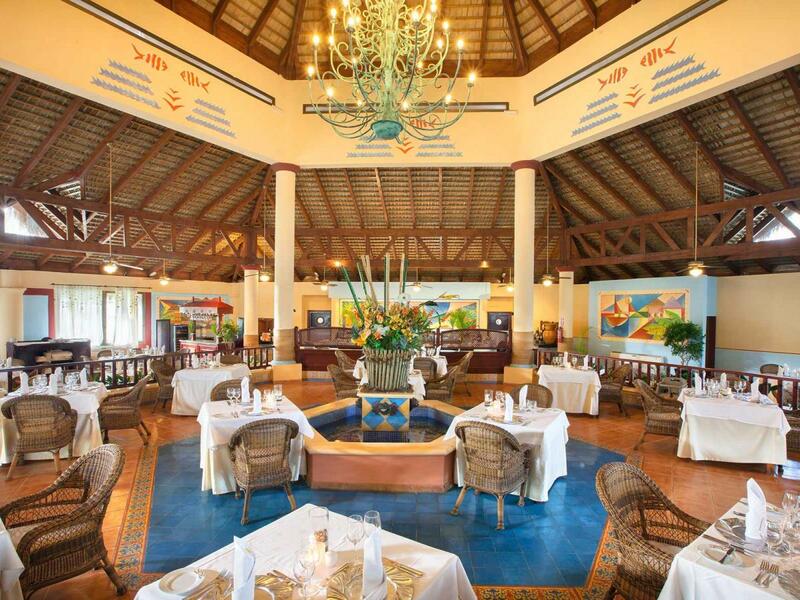 The Punta Blanca Golf Club features 18 holes that weave its way through native vegetation and natural wetlands for a tropical feel. 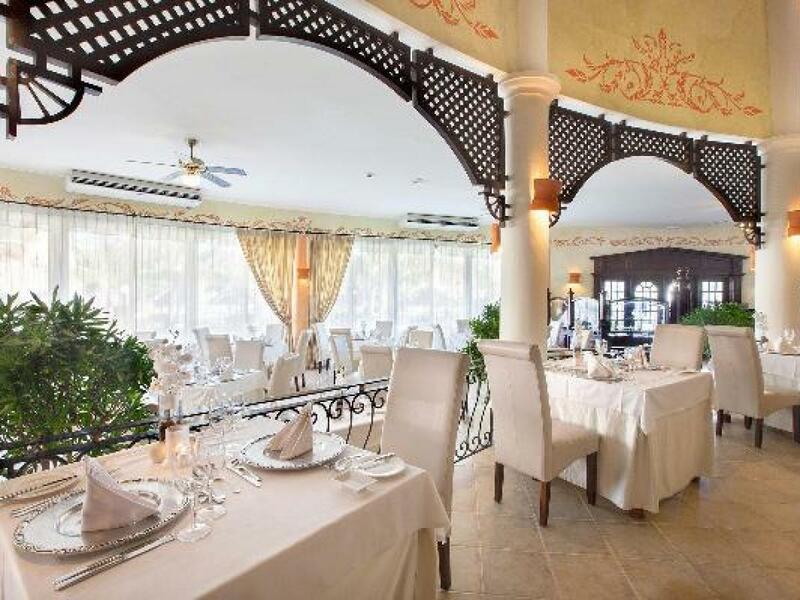 À la carte restaurant where you can taste French gourmet cuisine, so you can enjoy the cradle of nouvelle cuisine. À la carte restaurant where you'll find the authentic flavour of grilled meats with their original seasonings. Yeehaw! 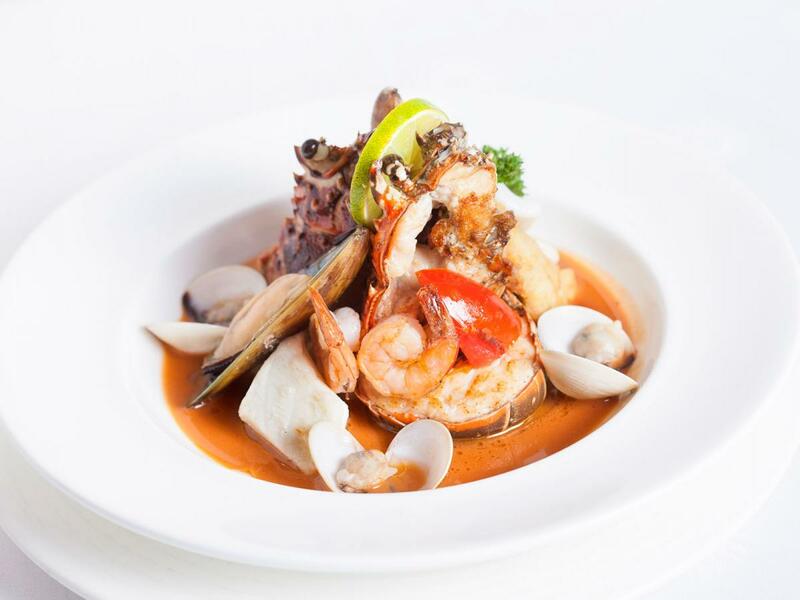 À la carte restaurant with conventional seafood cuisine, the sea as an essential culinary source. 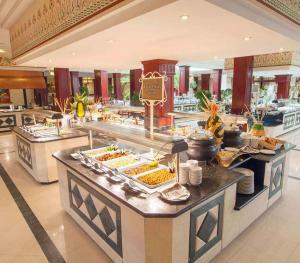 Breakfast, lunch and buffet dinner with traditional dishes from international cuisine.Theme dining nights by country. Smoking is not permitted. 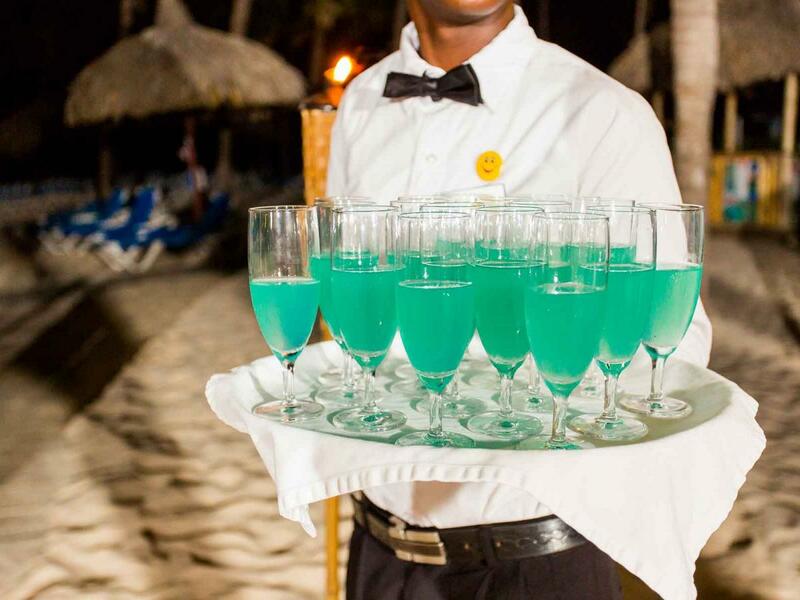 The essence of refreshment. Wade in the cool waters as you hold a drink in one hand and swim with the other. 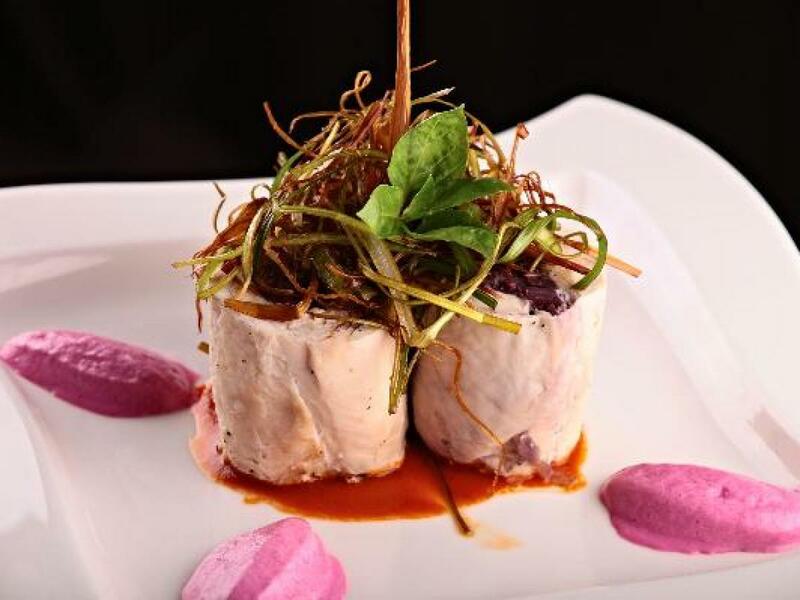 A pit stop to enhance your day. 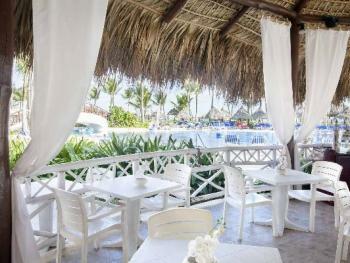 After each adventure together take some time to relax and enjoy a beverage among the tropical environment.